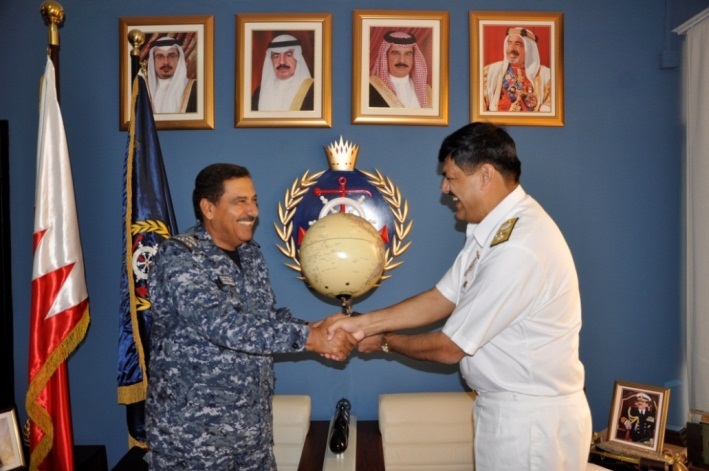 Commander Combined Task Force 151 (CCTF151) Commodore Asif Hameed Siddique discussed mutual operability with the Bahrain Defence Forces on 26th April 2015. During his visit, CCTF-151 met Commander-in-Chief of the Bahrain Defence Force (BDF), Field Marshal Sheikh Khalifa Bin Ahmed Al Khalifa, Commander of the Royal Bahrain Naval Force Brigadier General Khalifa Bin Abdullah Khalifa and Coast Guard Commander Brigadier Ala’a Abdullah Siyadi. During his visit, the Commodore highlighted the role and efforts being put in by CTF-151 in curbing piracy in the Gulf of Aden and off the coast of Somalia. He also highlighted the achievements that Combined Maritime Forces and the Gulf Cooperation Council countries to which Bahrain belongs have together acquired in support of international maritime security and counter terrorism patrols in the Gulf, Arabian Sea and Red Sea. Commodore Asif Hameed also met with Brigadier General Khalifa Bin Abdullah Khalifa, Commander of the Royal Bahrain Naval Force and Coast Guard Commander Brigadier Ala’a Abdullah Siyadi. 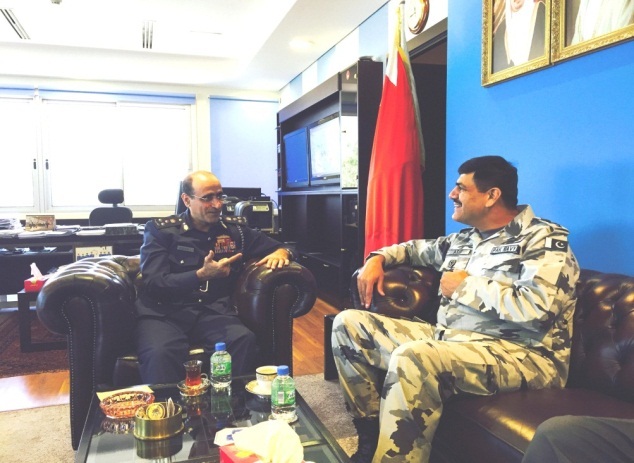 CCTF-151 stressed the need for close working relations between Bahrain Defence Force (BDF) and Combined Maritime Forces (CMF) in order to support various Maritime Security Operations in the region. CTF 151 exists in order to deter and disrupt piracy, protecting maritime vessels and securing freedom of navigation for the benefit of all. In conjunction with the North Atlantic Treaty Organisation (NATO) and the European Union Naval Forces (EUNAVFOR), CTF 151 helps to patrol the Internationally Recommended Transit Corridor (IRTC) and recommends best practice methods for the avoidance of piracy to merchant shipping. The visit enhanced the existing bond of friendship between CMF and BDF. Commodore Asif Hameed appreciated the friendliness and the warmth of their host. He added that CMF looks forward to continuing to work together.